Hunting for whitetail shed antlers may dominate much of the country, but shed antler hunters in the West look for a bigger prize. Elk also shed their antlers annually and whereas a good whitetail shed antler may weigh in at two pounds, a hefty elk antler could tip the scales at 10 pounds or more. That's a lot of bone! It's also the fastest growing bone known to the scientific community. In the summer, during the height of antler growing, an elk antler can gain an inch per day. Some plants can't even grow that much in day even with a jolt of Miracle-Gro! Elk country is big. It's also unforgiving, particularly if you push deep into wilderness regions. A daypack and a Snickers bar won't save your tail if an unexpected spring storm swallows the mountains. Packing the right gear to get you into country and out safely requires pre-planning. Looking for shed elk antlers is a surefire way to enjoy the best of the West in an up close and personal manner. Nothing defines the outdoors more than hiking in the shadows of snowcapped mountains. 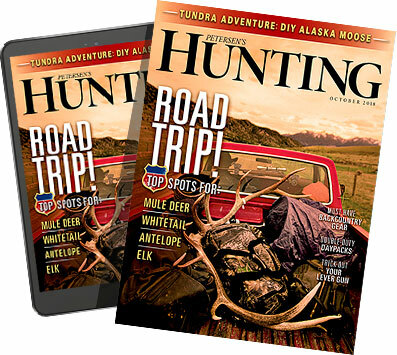 Springtime shed hunting for elk antlers also gives you insight into a particular hunting unit. Even though elk may migrate miles to winter habitat, they leave clues along the way and oftentimes migratory elk are closer to their homelands than you think. They simply could be dropping straight down to winter refuge. In other lowland areas where elk management is thriving, herds never leave. You may find antlers exactly where you could hunt. A final reason to venture west for the chance to find a baseball bat of an antler is to possibly make a dollar. Depending on the current market, elk antlers may fetch as much as $15 per pound. For a nice six-point you could be staring at $150 of fast cash. Artisans, dog chew businesses, health practitioners and others utilize antlers in a variety of means. To get the most out of your elk antler adventure you need to understand the region. Reach out to biologists or even hunting contacts in the area. They can help shed light on areas where elk may winter and eventually drop their antlers. Elk begin to shed their antlers in late February, but most shed later in March and into April â€” making right now the perfect time to find them. Elk begin to shed their antlers in late February, but most shed later in March and into April. Research to make sure you are hitting the right period of shedding time in the area you pick. Some states designate habitat that is strictly to be utilized by wintering game. They may shut off human entrance and set dates on when you can enter to look for antlers. In that same regulatory tone be sure to research whether states have regulations pertaining to the hunting of shed antlers. States are beginning to set seasons, require licensing and make you take exams to educate you on your impact to wintering wildlife. If you want to avoid large herds in managed habitat, look for smaller habitat zones elk may use in a more secretive nature. Any south-facing slope that is void of human intrusions could hold a small bachelor group of bulls. Steep, rugged and remote often attract these small groups of bulls leisurely waiting for spring to arrive. A good binocular paired with a spotting scope can help you spot elk on these openings from miles away as you watch and wait for antlers to drop. Elk require open slopes to graze, but they also still need water. In northern elk country, snow can provide moisture for elk almost anywhere. In more arid or desert regions without snow, you'll still see elk visiting water regularly. Knowing these watering holes can help you keep track of a local herd. You can also watch the snowline as it recedes up the mountain. Elk will follow that snow melt as it exposes new vegetation and still provide moisture with a short walk to the snow. Elevation differs on where elk winter depending on the climate and latitude, but 6,000 feet seems to be a fair range in many mountain areas. As a side note, if you enjoy picking up any shed antlers, keep a watch out for mule deer sheds. They're usually one level below where the majority of elk winter. Lastly, ask your contacts if the elk stay year-round in the area or if they migrate. Prairie and foothills elk don't travel far at all, but herds in the heart of the Rockies may trek dozens of miles to reach winter, or summer range. If you plan to use your shed hunting for scouting you'll need to know those details. Even if you discover you're shed antler hunting in a migratory area you can still get an idea of the health of the herd and the trophy potential. If you find yourself shed antler hunting in an area used year-round, be alert to old elk sign such as rubs and wallows. Mark them on your hunting app, like ScoutLook Weather, and you'll be steps ahead when you land that cherished elk tag. Everyone wants to be successful and carry a few shed antlers home. In elk country it takes a tad more gusto. Elk country is big. It's also unforgiving, particularly if you push deep into wilderness regions. A daypack and a Snickers bar won't save your tail if an unexpected spring storm swallows the mountains. Packing the right gear to get you into the country and out safely requires preplanning. After a straight-up ascent of more than 2,000 feet Mark and Katelyn Kayser celebrate finding a big 6-point shed elk antler. You'll need to pack along first aid, survival items, ample water and extra food. Rain gear is a must since snow and rain could arrive at any moment with fickle mountain weather. You also need navigation devices such as a GPS or a smartphone navigation app. A backup map and compass should also be considered if batteries die without warning. You must also have a durable and comfortable pack. Make sure it has compartments for the gear listed earlier and straps to lash antlers. You won't get far in elk country or find many shed antlers unless you're in shape. My average day is a 12-mile roundtrip of which half is straight up, and most is side-slope hiking. Rock, ice and snow all could litter the terrain. Sturdy, leather hiking boots and one or two hiking staffs is a must to stay upright while slope hopping. I trust my Cabela's Meindl Perfekt boot to get me in and out of country. Most people rarely venture more than a mile from the road. If you want to shed antler hunt away from the crowds, put miles between you and where vehicles can travel. Straight-up ascents also intimidate the shed-antler hunter in average shape. Look at your destination and ask yourself if you really want to go there. If you question the decision, you're probably on the right track to a shed elk antler. Rugged and steep is often the name of the game to locating shed elk antlers as Mark Kayser and his dog Sage experienced. And although you may stumble across a whitetail shed antler in a woodlot simply by looking down, optics rule for finding antlers out West. Spend wisely on quality because you'll be scanning down slopes or across canyons. Focus on white objects looking for partial tips or beams protruding from brush or grass. I prefer a 10x42 binocular. It gives me plenty of field of view and magnification to identify an antler tip from a rotting limb. Hunting for shed elk antlers is as addictive as hearing the bugle of a bull during the rut. With the right planning you can find antler hunting success in elk country. The views are intoxicating, especially with an elk antler laying in the foreground.